Leslie, this is amazing! I really appreciate all the details and the seperate recipe cards!! i love all the options for using just one recipe. I tried the cinnamon rolls and they were yummy. The whole house smelled delicious! I cant wait to try all of these! I want to make several batches of the cinnamon and rosemary rolls to use during the holidays, will the rolls freeze well? Do I do anything differently to prepare them for the freezer? Awesome Karen!!!! I’m so glad you made the cinnamon rolls and it’s a great idea to make a few batches of them plus the rosemary rolls for the holidays. You can certainly make both in advance and freeze them. For the cinnamon rolls, I would not add the icing before freezing. Just make sure they are completely cool before wrapping really really well with plastic wrap. When you are ready to bake them, let them thaw on the counter for a while, and reheat in a 250 degree oven until warm. Make the icing, then pour over when they are warm out of the oven. For the garlic rosemary rolls, you can spread a little melted butter on top after they come out of the oven. Let cool completely, wrap really well in plastic wrap and freeze. To serve, thaw at room temp., reheat in a 250 degree oven until warm, and brush a bit more butter and garlic on top, then serve! Thanks so much for letting me know how the cinnamon rolls turned out. I love the recipe and the description! Is it possible to make the recipe with just spelt flour so it is gluten free by chance? Hello Therese, thank you for the question. Just to clarify, spelt is not gluten-free. Spelt is an ancient wheat that hasn’t been hybridized like modern wheat varieties that make up the wheat and white flours you find in grocery stores or in any foods that contain wheat flour. 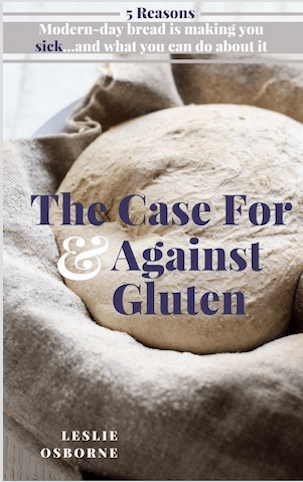 Many of the problems people have with modern wheat has more to do with the lack of long fermentation that breaks down gluten and a lack of a sourdough culture in their bread and baked goods, plus the awful amount of pesticides sprayed on wheat crops. Many people that feel they are sensitive to gluten find that they do fine with ancient grains such as spelt and kamut. However, if you have Celiacs or are severely allergic to gluten, spelt is not safe to consume. 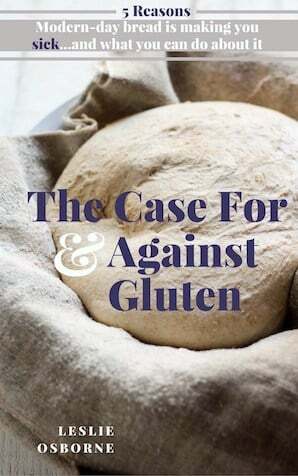 I go into the problems with modern-day wheat in more depth in my guide “The Case For & Against Gluten, 5 reasons modern-day bread is making you sick…and what you can do about it.” If you subscribe to my blog (there is a form at the bottom of all of my posts) you’ll receive this guide that I think has some helpful information for you. If you are simply “sensitive” to gluten and feel safe trying spelt flour, you can use the same measurements of whole spelt flour that is in the recipe, but to substitute all-purpose flour, you can use White Spelt Flour which is a refined spelt (spelt without the germ or bran) that will lend a much lighter texture to your bread and baked goods. It’s basically the equivalent of modern wheat all-purpose flour. If you use only whole grain spelt flour, the dough will be quite a bit heavier and more dense in texture. I don’t really like 100% whole grain breads myself as they have a tendency to be gummy, so I cut that with some white flour. It has lots of reviews so it seems like a good product. Even whole grain spelt is more expensive in stores. I’ve never found any white spelt flour in stores so online is probably your best bet. If you have any other questions, don’t hesitate to ask. I’d love to hear how your brioche turns out, so please come back and check in!